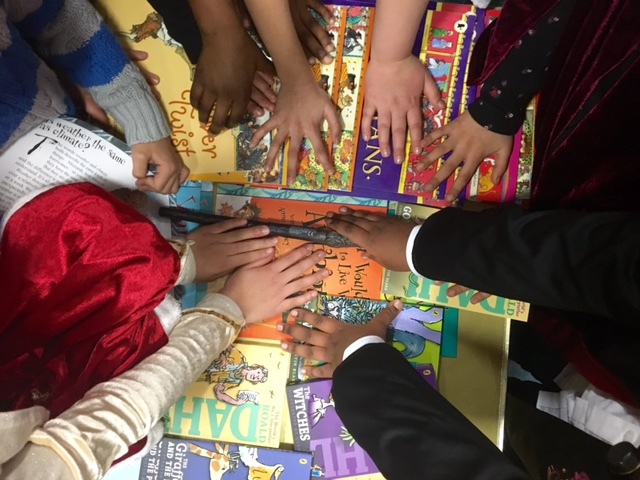 The Junior League of London celebrated World Book Day 2016 at Coville Primary School, on Friday, 4 March. After a tutoring workshop where JLL volunteers discussed health and safety for the children, and how to better use phonics and active reading to improve the student’s comprehension, the volunteers helped over 400 children, dressed as their favourite book character, select a book to take home! In addition, thanks to funds generated by JLL members at our Winter Conference, we were able to purchase additional books for each classroom’s reading corner. The JLL has worked with Colville for almost 20 years, in a variety of ways, including building a student library in 2012, and providing school supplies for 400 children, at the start of each school year. Our volunteer members also provide regular tutoring to 30 students throughout the year, as part of the Learning Club programme. Through consistent contact, volunteers and students develop relationships in which the students feel valued and are motivated to learn. Thank you to all the JLL members who helped bring the magic of books to the children of Colville Primary on World Book day 2016, as part of this important partnership!